Come join us Thursday 14 December from 6 - 9pm to celebrate, unwind, chat, have a drink and acknowledge some of this year's amazing volunteers at the annual Revolve Christmas party. 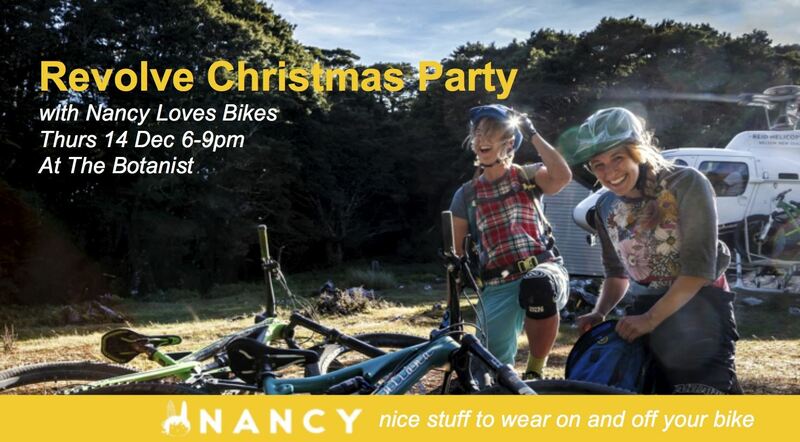 Nibbles will be provided AND we are pleased to welcome a very special guest - Nancy Loves Bikes! New gear will be on sale, and Sarah from Nancy Loves Bikes is donating $10 from every shirt sold on the night to Revolve:) How nice is that? Look forward to seeing you all. Revolve members, friends, partners and volunteers all welcome!